If your small business is in an industry that deals with fluctuations in demand from season to season, you need to develop skills and smart business practices that allow you to remain profitable during off-seasons or periodic slowdowns. Whether the dips are a result of lower customer demand or supply issues, implementing strategies that help you tackle seasonal fluctuations will keep you on the road to success. In this post, we’ll talk about ways small businesses can successfully navigate the challenges associated with seasonal businesses before, during and after their peak season. Developing solid strategies for sustaining a seasonal business throughout the year takes a little foresight. These 5 tips can put you on the right path. 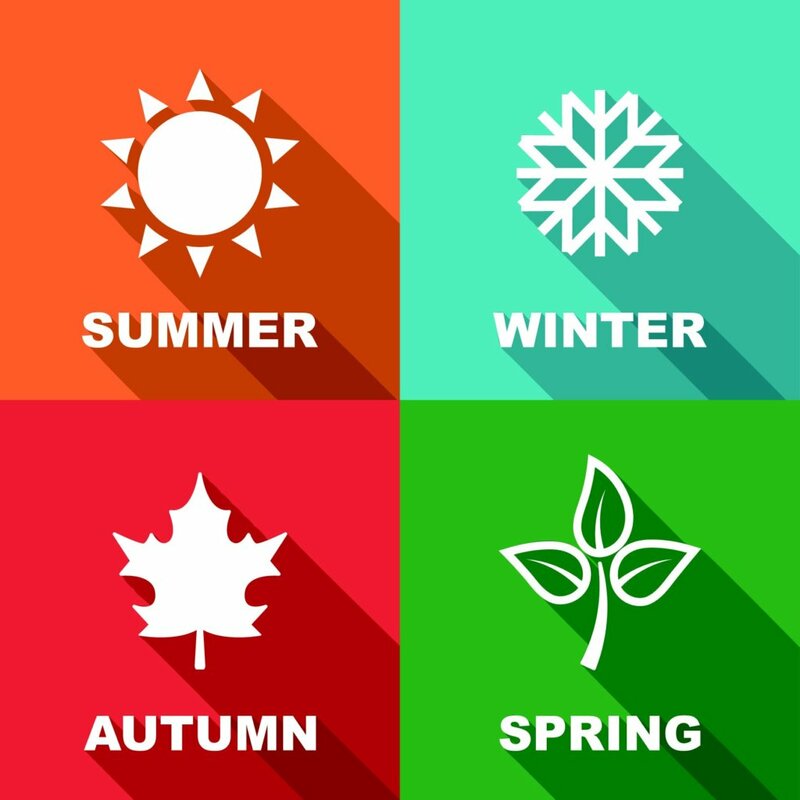 Many industries experience seasonal fluctuations. For example, businesses that cater to summer travelers or holiday oriented businesses may make more than 90% of their annual income over the course of three months. Because of this, entrepreneurs who launch prior to a seasonal upswing are often caught off-guard when sales dip after the peak season ends. Be sure to base sales projections on sales data from at least two to three years to set realistic expectations and a budget to help you during the slow months. When you’re doing your analysis, make sure to include all elements of keeping the business open, including inventory, staffing, and general overhead. Review all of your expenses for a 2-month period during the peak season to get a good sense of what to include in your calculations. Look at what expenses are constants, like rent or payroll, and what numbers will be lower during your shoulder and off seasons, like inventory and seasonal employees. Use your accounting software to show you the numbers and don’t forget to look at your credit card statements for additional details. The numbers will guide your financial planning decisions. One component of your analysis should focus on strategic planning. Successful small businesses use their off-season to choose and prepare marketing campaigns, develop customer retention programs, and prepare inventory for the peak season. It’s easier to be strategic when you’re not under the stress of the busiest time of year. In addition, you should cultivate a relationship with a lending partner who understands the nature of your industry and its seasonal nature. An experienced lending partner, like Breakout Capital, can help facilitate what you may need for expansion, hiring and other capital investments. Planning ahead, knowing what documents will be required, and determining what you need to borrow compared to how much you’ll grow, will go a long way towards keeping things moving during your busy period. 1) provide the best service around because your staff is trained, highly knowledgeable or very efficient? 2) provide the most cost-effective service because you keep overhead low during your off-season? 3) maintain visibility and a brand presence throughout the year to ensure customers remember you during peak season? Your focus should always be on your core business, but it never hurts to have other sources of income to support slow seasons. Are there complimentary products or services you could be offering existing customers? Or perhaps other products or services that may attract new audiences to your core business? Can you sublet unused space at your location during the slow season to other entrepreneurs? A few businesses rotate their offerings through the seasons, offering frozen yogurt in the summer and soup in the winter. Get creative, but remember to stay focused on your core business. Having the right employees on board is critical for small business success. However, seasonal businesses are often challenged by short-term contacts and lower-skilled labor. There are a few things you might be able to do to ensure a solid support team. If you treat your seasonal employees well, they will be more likely to come back next season, which reduces the learning curve. If you are able to stay open all year, hiring employees and training them for other skills may help you expand your business into other avenues and open up new revenue channels. Employees with flexible skills can assist with planning and preparing for seasonal shifts. While no one can prepare for every possible contingency, the above tips can help you work through the logistics of developing and sustaining a season-proof business. After you have the key logistics tackled, you can focus additional efforts on attracting and retaining customers. Successful seasonal businesses remain committed to attracting and retaining customers all year long. Dedicating time during the off-season to identify and work on marketing opportunities will serve your business well over the long haul. Here are some ideas to consider. PRE-SEASON ADVERTISING: Plan ahead and advertise in advance of your busy season. This allows you to reach early shoppers and also keep your business top of mind for the approaching season. Remember to promote deals and get creative about pitching your products or services to make your business stand out. Getting involved locally by organizing events and becoming the “expert” in your industry is valuable and will reap great benefits during the peak season. BLOG: If you have a website or social presence, develop a blog that helps your business attract more customers throughout the year. Providing tips, tricks and ideas relevant to your industry will help potential customers recognize you as a trustworthy source of information. In addition, the additional content will improve your organic search engine optimization rankings. IMPLEMENT SOCIAL MEDIA CAMPAIGNS: Nothing catches like wild fire like a creative social media campaign that aligns with a seasonal opportunity. People love to share fun visuals or touching stories during the holidays. Create a campaign that will drive more business your way. GIVE BACK: Adding a charitable element to your marketing strategy can encourage customers to choose you over competitors. It makes your company seem more holistic, is good for your brand, and aligns your customer base on core values. Pick a charity that is relevant to your industry and make sure to advertise the opportunity during the season and also communicate how much was donated after the season ends. Even better, if you’re a local business, pick something local that will have even more relevance to your community. IMPLEMENT CREATIVE MARKETING: Stay in front of your customers throughout the year with inexpensive marketing tactics such as email marketing campaigns and social media efforts. Be creative with monthly newsletters, talk about your charitable activities, and find unique ways to keep your customers engaged with tips and tricks related to your business. All this activity will keep your customers connected to your company so you’re top of mind when buying season resumes. IMPROVE YOUR PRODUCT OR SERVICES: After the stress of peak season has come to an end, it is the perfect time to regroup with your employees and take note of their opinions and the customer feedback that occurred during the season. Use the feedback to improve your products or services…and seize the opportunity to communicate that you have listened and improved your offerings in your pre-season marketing efforts. Whether you run a snow cone shop in the summer, or a holiday decorating company in the winter, managing a seasonal business requires thoughtful planning. Good financial and strategic planning will help your seasonal small business thrive and grow year over year. Manage your money, your employees, and your time well, and you will reap the rewards for years to come. Breakout Capital is committed to responsible lending. We believe it is better for you to keep your business and grow it responsibly than set it up to fail with insurmountable debt. Please contact us today if you’d like to partner with us.